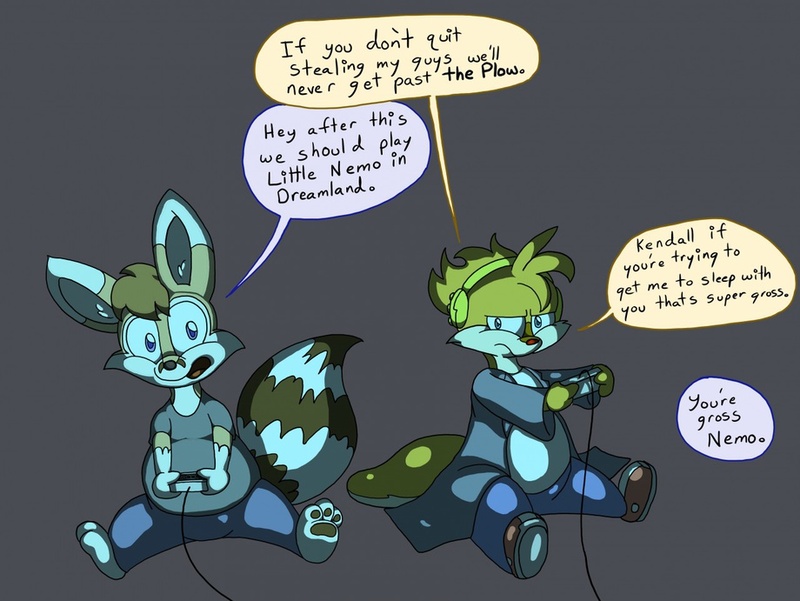 A young Kendall and Nemo playing some Contra (when it was new!). Who has time for bed when there are games to be played? A cute commission by nemo!